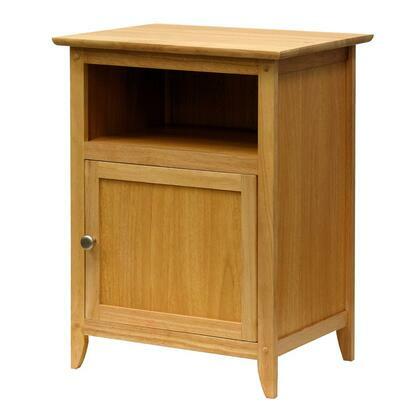 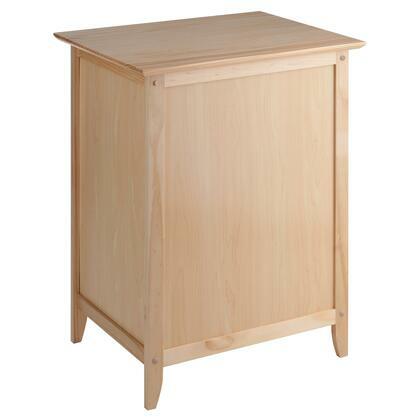 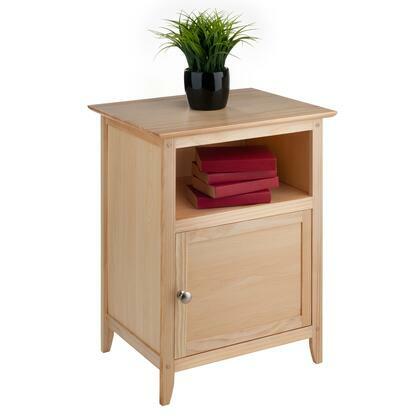 This wood shaker style nightstand is perfect for you bedroom and can add a warm touch to your decor. 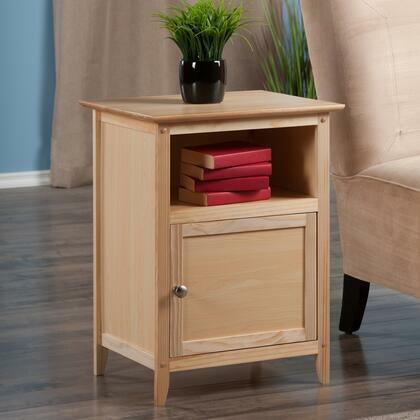 With and open shelf and cabinet behind the door this nightstand provides ample storage. 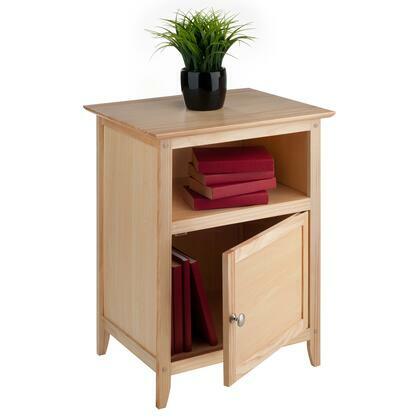 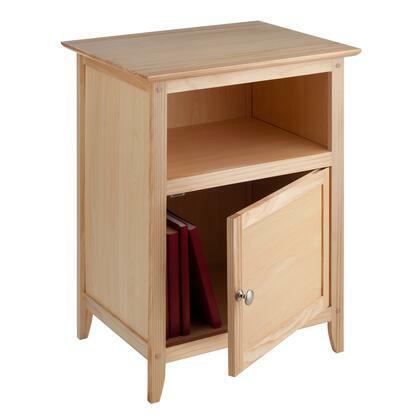 Constructed of solid wood and is easy to assemble. 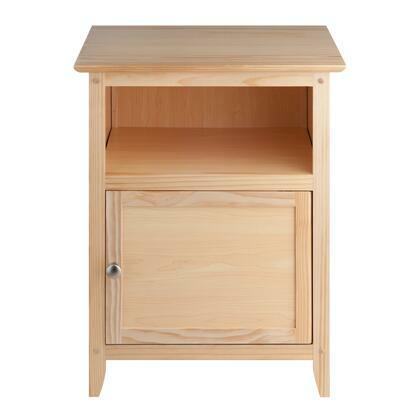 Open storage size is 14.5"W x 11.8"D x 5.9"H.
Door opens to inside storage of 14.5"W x 11.8"D x 12.1"H.
This end table was worth waiting for. 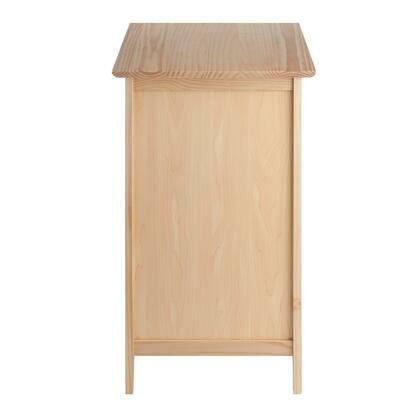 It is just what I was looking for. 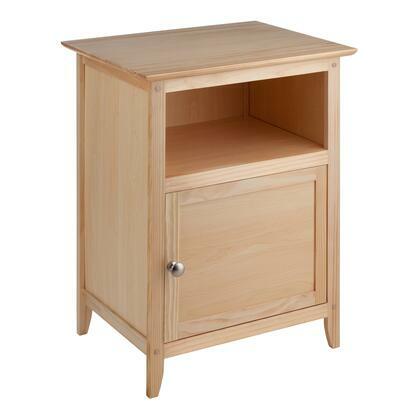 Very easy to assemble, nice finish. 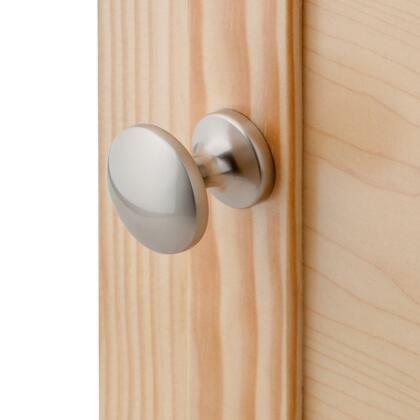 It has solved one of my problems, thanks, happy I found it in you ad.